There are many different types of contact lenses that are available to correct patient’s vision, including correction for nearsightedness, farsightedness, astigmatism or presbyopia. Our doctors and licensed contact lens opticians are trained to fit and prescribe contacts to achieve excellent vision, comfort and optimal eye health. 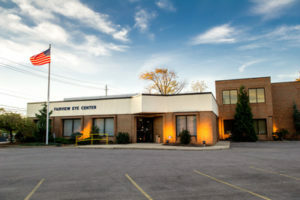 They use the latest technology and contacts to attain the best possible vision for each patient. We prescribe both soft contacts for daily wear that can be replaced once a day, bi monthly and monthly as well as rigid gas permeable lenses. There are bifocal and multifocal contacts that correct for both distance and reading similar to progressive or bifocal glasses. Contacts are available for patients who have corneal problems including keratoconus (progressive thinning of the cornea) or irregular corneas due to disease or surgery. We do offer competitive pricing for our contacts, rebates, as well as direct shipping.